Dispensaries must follow the Marijuana Enforcement Division’s regulations to avoid fines and license suspension or revocation. You might have noticed that although it’s now legal, shopping for cannabis in Colorado isn’t quite like going to the liquor store. Dispensaries are closely scrutinized and strictly regulated by the Marijuana Enforcement Division. Although they’re not always visible, these restrictions affect the customer’s experience. Here’s what your dispensary wants you to know before your next (or first) visit. Why do I have to keep showing my ID? In order to visit Colorado’s cannabis dispensaries and make a purchase, you must be at least 21 years old and show a valid ID. If plants or product are visible from the lobby, these same restrictions will apply immediately upon entering the building. 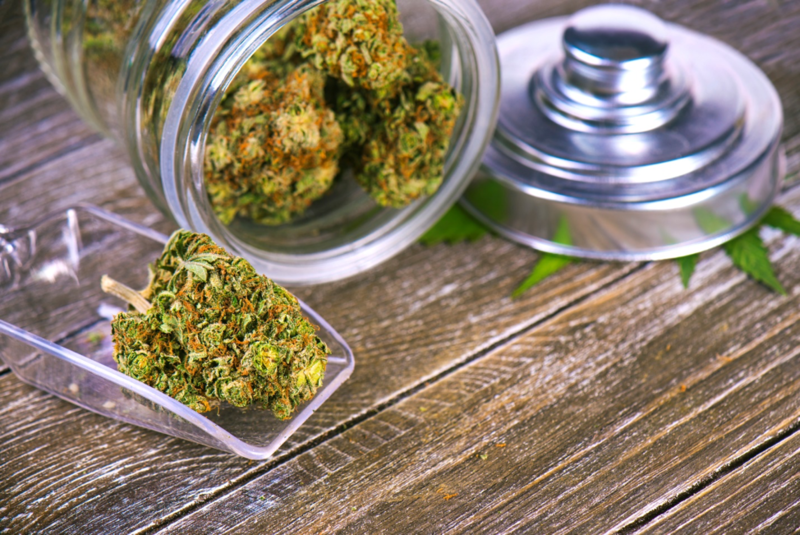 Dispensaries that skip identification checks, sell to individuals under 21 or allow them to enter parts of the store where products are visible are subject to fines of $10,000 to $100,000 and possible suspension or revocation of their license. Responsible bud-tenders risk permanently losing the occupational badges that allow them to work in the industry. Therefore, Colorado dispensaries will require you to show your ID at least twice — once to enter the facility and once again to verify your age upon purchase. At Choice Organics, expect to show your ID three times — upon entering the lobby, when entering the dispensary, and when you make your purchase. What forms of identification do dispensaries accept? Dispensaries can accept many, but not all, forms of identification. Government-issued photo IDs from U.S. states and territories — including Guam, Puerto Rico and American Samoa — are accepted, as are U.S. military IDs. As of January 1, 2018, Colorado dispensaries can also accept all federally recognized tribal cards. International visitors are welcome to shop at the dispensary with a valid passport. No matter what kind of identification you’re using, make sure it’s in good condition. “We have to clearly be able to see your face, the expiration date, the state seal, and your birthday because we need to know if it was tampered with in any way,” Bourget says. Can I buy cannabis for my friends? Recreational customers — now including those from out of state — can purchase up to one ounce of cannabis or equivalencies per person per day. That product can be gifted, but it cannot be resold, even for the same cost, to someone else. And while you can certainly shop with your friends, your bud-tender will probably ask individuals in your group to make separate purchases. If just one person is making the payment, you’ll be held to the one-ounce limit. “If you’re a party of people, it can get difficult if you’re exchanging money in our facility. We walk a fine line. There’s no law against passing money in the dispensary, but it’s difficult because accepting money for cannabis is illegal,” Bourget says. Medical customers can generally purchase up to two ounces of cannabis per person per day. But that product cannot, under any circumstances, be sold or given away. Despite all that ID checking, recreational customers are entitled to anonymity by law. That means that your dispensary won’t record your name or contact information or divulge it to the government. However, as of January 2018, a new policy obligates dispensary staff to watch for repeat customers who attempt to purchase more than the legal limit in one day. Why is my bud-tender stingy with the health recommendations? With the growing hype about cannabis’s potential health benefits, it’s understandable that people come to dispensaries looking for relief. If you have a medical card for an approved reason, your doctor may suggest something specific. However, because there are not yet any FDA-approved studies supporting the medical benefits of cannabis, bud-tenders are prohibited by law from recommending it for health issues. Therefore, when you ask for cannabis-related health advice, your bud-tender might share their own experience or turn the question back to you, for example by asking what strains you’ve found helpful in the past. For more information about Colorado’s cannabis laws, contact us here at Choice Organics at 970-472-6337.